Muscle Performance™ - Research Associates, Inc.
For the temporary relief of minor soreness and stiffness due to overexertion. 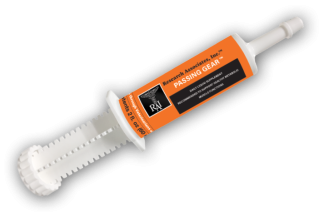 Gentle, safe relief you see a difference in 10 days and soundness in 30 days. 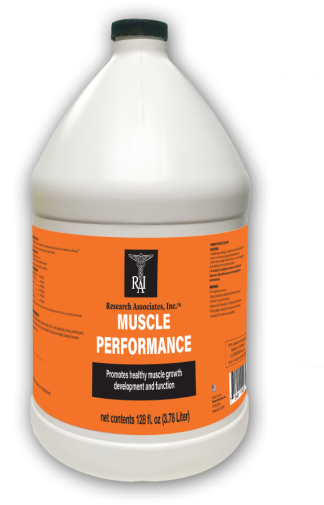 Safe for all horses, every day Results: Under a veterinarian’s care, a group of 40 horse were given Bute-Like™ every day for 18 months and competed successfully without a positive test or side effects. 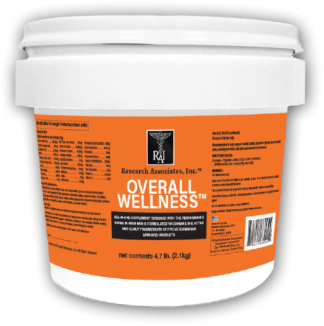 Available in 1.85 lb, 3.7 lb, and 18.4 lb buckets NOTE: Bute-Like™ Supplement contains ingredients prohibited by USEF, therefore, Research Associates, Inc.TM recommends discontinuing use 24 hours prior to competition. 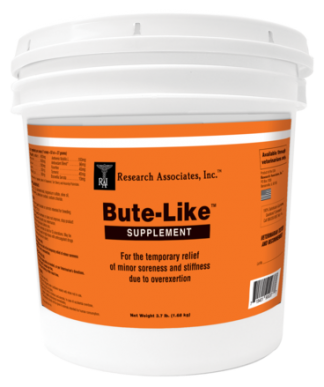 Research Associates, Inc.TM conducted a trial on Bute-Like™ Supplement in which horses were given double doses of the product and blood was drawn. The samples were then sent to an independent testing facility, Truesdail Laboratory, where they were thoroughly screened without producing a positive test. 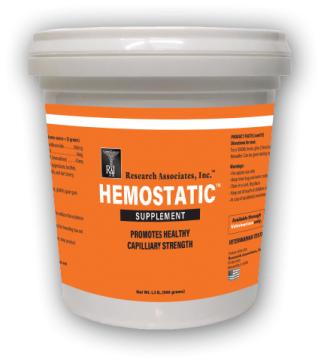 INGREDIENTS: A proprietary blend of Methylsulfonylmethane, White Willow, Devils Claw, Kava Kava, Yucca Schidigera, Grapeseed, Tart Cherry, Ascorbylpalmitate, Anthemis Nobilis L, Feverfew, Turmeric, Boswellia Serrata, Calcium Carbonate, Flax Seed Meal Magnesium Sulfate, Olive Oil, Potassium Chloride, Potassium Sorbate, Sodium Chloride.